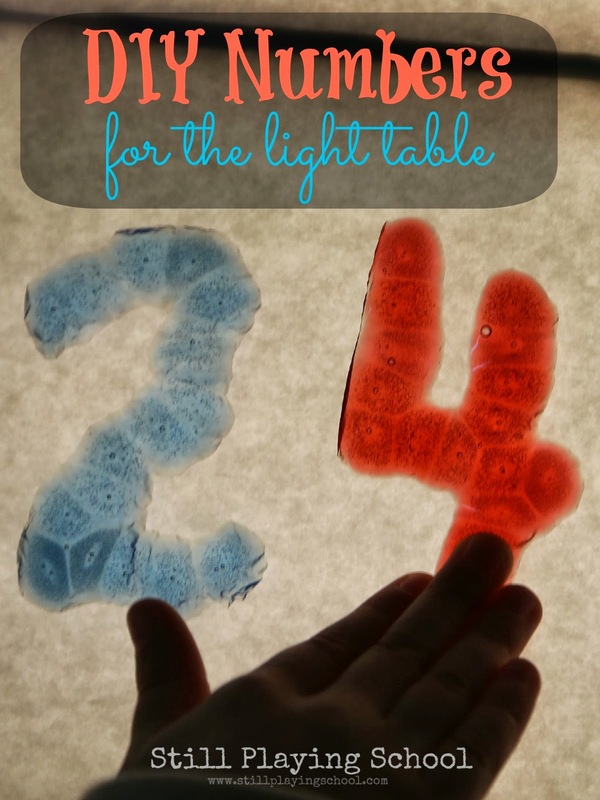 We are so excited to show you how we made our own transparent numbers for the light table! 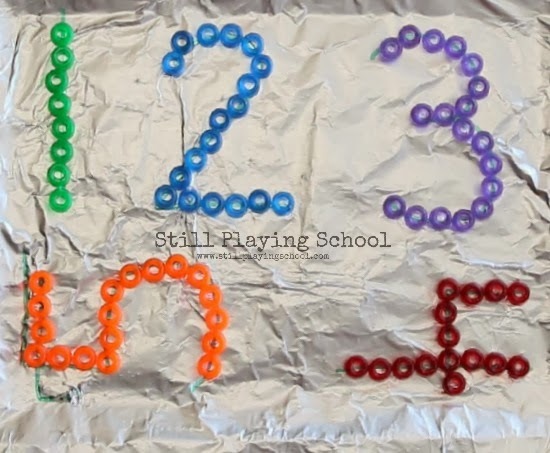 My preschooler enjoys playing with these colorful numbers as we work on math concepts. Crafters have melted the transparent pony beads in their oven (Yikes, fumes!) and out on a grill (Not the easiest way to regular temperature.) but my neighbor BFF has a toaster oven that she uses for craft projects (because she's awesome so of course she does)! She let us borrow the toaster oven which I plugged in on our deck for a safe, ventilated way to try melting pony beads. We melted ours at 400 degrees for about 5 minutes. 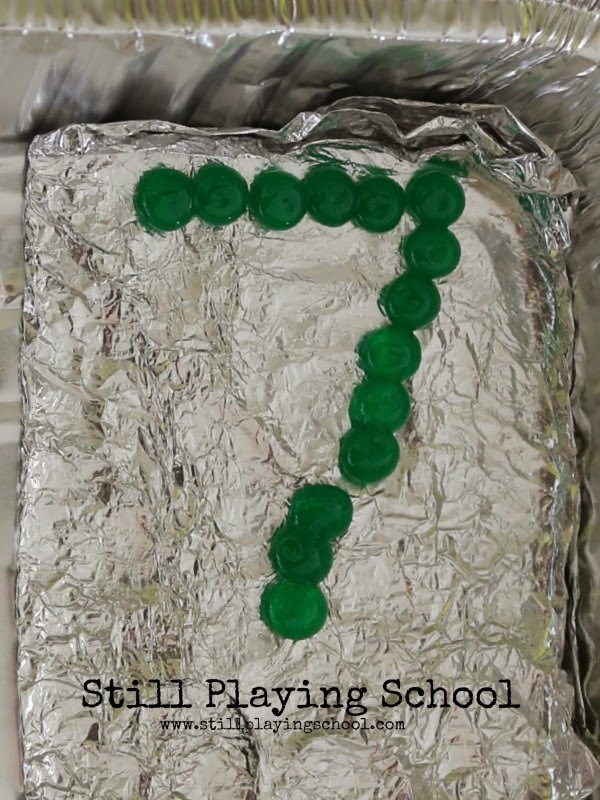 If the beads weren't melting together (as with this number 7) I would take the project out to cool then realign the pieces to melt again. The numbers peeled easily off of the foil I used to the pans. 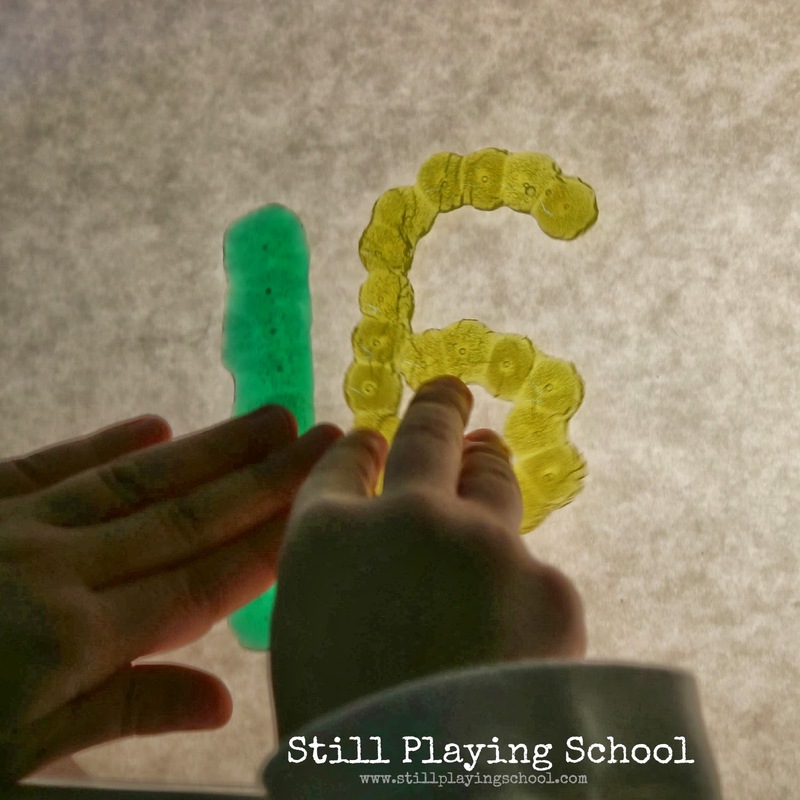 It was on to the light table! E put the numbers in order. We worked on making two digit numbers. I would say the name and she would make it. She can identify numbers to 30 but making them is a totally different skill!